With the economic viability of the family-owned ranch in decline, ranchers across the American West are seeking to capitalize on a lifetime of stewardship. For some this means selling to a conventional developer who subdivides the ranch. However, the solution for many comes in the form of a conservation easement --- a voluntary legal agreement that permanently protects the conservation values of a property by limiting or restricting future development. 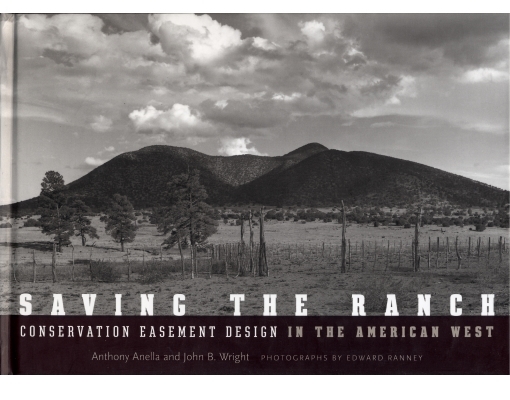 SAVING THE RANCH is a concise and readable guide to conservation easements for ranchers, conservationists, and developers concerned with protecting the natural and scenic values of ranch lands in the western United States. The book shows how all ranchers --- and land-rich, cash-poor ranchers in particular --- can generate and shelter income, reduce estate taxes, and combine land conservation with estate planning. Case studies explore how conservation easements have been used, helping readers to understand the variety of circumstances under which easements can be effective. Case studies also demonstrate an alternative to conventional development by showing how “sieve mapping” works as a design process by identifying and then capitalizing on the economic value of land conservation in the marketplace.